- Established the Sisters of Charity in America. - Patron of in-law problems, against the death of children, widows, death of parents. - Foundress of the American Catholic School System. 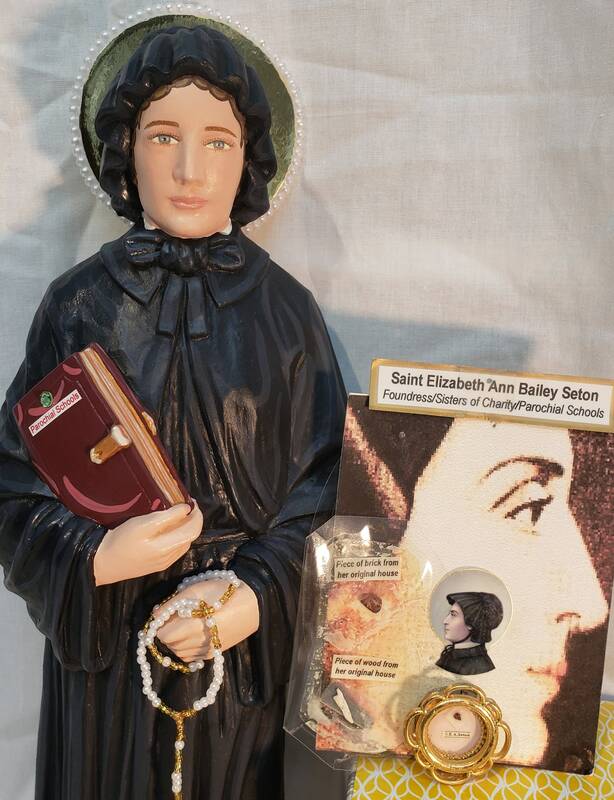 This commemorative statue features an inspiring hand painted face and details such as painted fingernails and eyelashes, golden halo, and a hand made tiny rosary in her hand. 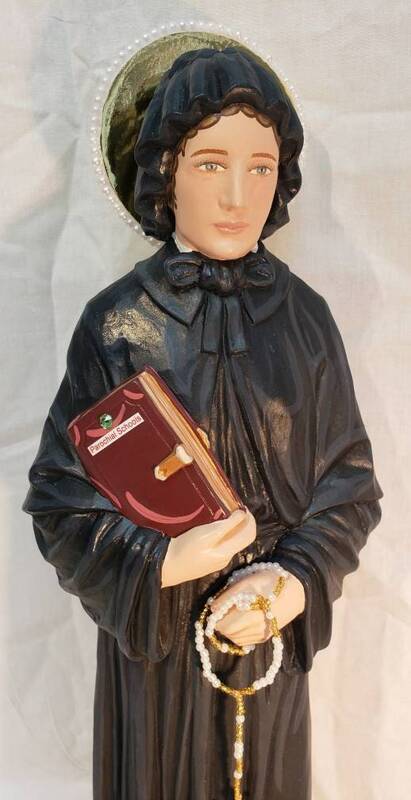 Elizabeth Seton clutches her teaching manual for the parochial school system she created in her right hand titled “Parochial Schools”. 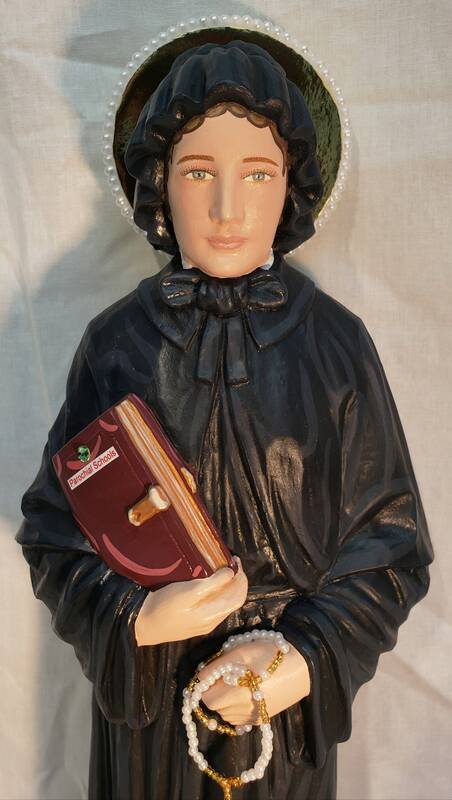 We will also touch your statue to a 1st class relic of Saint Elizabeth Ann Seton.